So often for me, the experience of love has been tied to other people and other emotions. I feel love when I think of a person I feel affectionately toward, and maybe it's connected to happiness because they love me the same way, or maybe longing because my desire isn't mutual. Love tends to be accompanied by other thoughts and feelings like that. Today in yoga class I was in a child's pose position and I thought of someone, felt love, and immediately felt my face tighten as I connected it with longing. And I wondered, what would the experience of love feel like if it weren't tied to those other things, if I could let go and feel it as an independent emotion? So I dropped what I was doing with my face and just paid attention to the feeling of love. This is something I'm just beginning to explore. 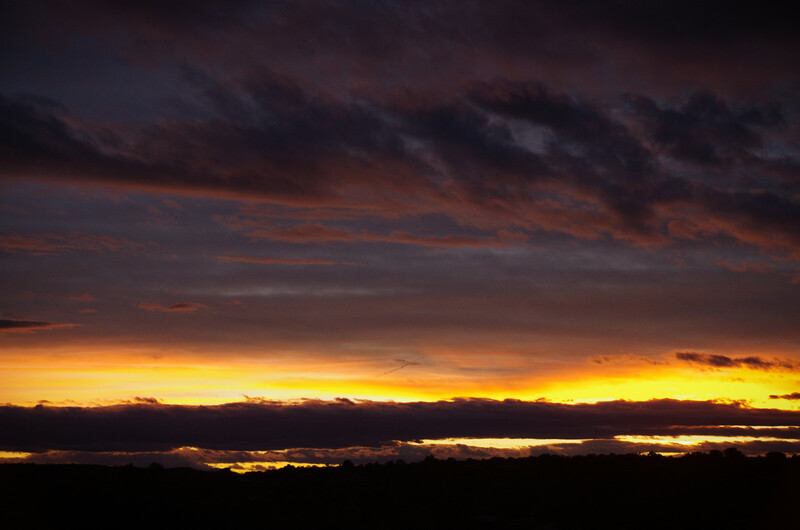 Right now, the way I experience it is as a comfortable warmth in my chest. It requires gentle relaxation, which isn't always easy because it can feel scary to let go of the tension I hold and let love be present. It requires acceptance and fondness of self, which are hard to conjure in the presence of fear, guilt, and self-blame. I learned that you have to have compassion even for the part of yourself that feels afraid and guilty before the fear and guilt will start to recede. I'm playing with the idea that self-love feels just like interpersonal love, but with practice it can be felt at any time regardless of circumstance. This is somewhat of a novel idea because I've always assumed that I have to be in contact with another to feel that kind of love. Or, I can feel it while I daydream about being in a relationship, but then it comes with that sense of lack and envy. How much more stable will I be if I can meet my own need for feeling loved? If I nurture that into a strong constant force, how will it change my ability to pour into other people without a need to get something out of them? How will it change my habits and coping mechanisms? I can imagine it affecting my life in numerous ways. It's extra challenging for me because of my heart surgery. I have long held tension in my chest and shoulders, perhaps in an effort to protect my seemingly fragile heart area. The physical and emotional are always related so it is no easy task to let that part of my body melt into warm openness. It's only through many hours of meditation that I have started to be able to feel sensation there again and consider the possibility of filling it with warmth. Maybe the best thing about falling in love with other people is when it teaches us how to love ourselves. If we realize that the people we love most share a lot of our own qualities, and we know that we perceive them as fully adequate, maybe we can start to see that we deserve to feel fully adequate as well. The nice thing about this attitude is that we can fall in love with all kinds of people and enjoy that experience regardless of whether or not a relationship is feasible. It turns "unrequited love" into a meaningless phrase because the love for that other person is a reflection of the love you've found for yourself, and there's nothing to be sad about if they don't act a certain way. You can simply feel warm thinking about them and be happy about that feeling. Every 10 weeks or so I have the opportunity to submit a guest column to the Moab Sun. Here's my submission this time around. 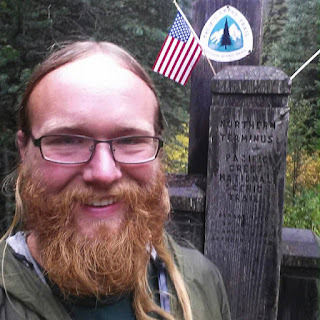 I quit my job in April 2014 to hike from Mexico to Canada on the Pacific Crest Trail. At 26, I'd spent three years in the engineering career I went to school for. I traded my salary for a backpack, the roof over my head for two hundred nights in the wilderness. I went alone. After a six-year marriage I was eager to explore life on my own terms for the first time. My experiences were strung along a 2,650-mile ribbon of trail along with hundreds of like-minded souls. When we met each other slogging 20 miles through scorching heat to find the next water, we knew we were in it together. We hid from the sun like reptiles during the heat of the day and fully embraced our strategic laziness. Crusted with dirt and sweat, we'd hitch into that chaos of order called town to find food, rest, and supplies; but town was never quite comfortable. We had places to go. Home was what we felt when we got far enough down the trail again to be out of sight and sound of civilization. Home was sprawling out in the sand, making our beds in the open air and trusting the weather to hold, laughing like kids at a slumber party. We were artists, scientists, drag queens, musicians, doctors, rangers, photographers, lumberjacks, entrepreneurs, professional hobos, and retirees. Some of us were in our 80s, some as young as six. We were straight, gay, trans, rich and poor, urban and rural. We hiked with knee replacements, with kidney failures, with AIDS. We came from the USA, Germany, Israel, Japan, Australia. There was one attribute we shared: Of all the people who dreamt of hiking a long trail, we were the ones crazy enough to make it happen. We met each other unexpectedly and broke apart just as abruptly. Sometimes our paths would cross again in a few hours, a few days, or a few months. We learned to say goodbye in ways that were appropriate for any length of separation. Reunions were cause for great celebration. Halfway through my hike I met a woman at a music festival, and we dove into a whirlwind of a relationship which set me on a different kind of journey. We lived in cars and drove around the country for four months that winter. Our love was as confusing as it was mesmerizing. I resumed my hike the following May. Sometimes I felt hungry, cold, exhausted, bored. I spent miserable weeks hiking alone when I started the second half, agonized by the mess of emotions I felt for the gal I'd roadtripped with. I hiked through thunderstorms, sunburns, and dehydration. My Achilles tendons were constantly inflamed. I saw cougar eyes reflecting in my headlamp and walked right through where I'd seen them. Often I was alone without cell service 40 miles from the nearest town, out of reach of help should something happen to me. In the end, these hardships were more than outweighed by joys. I met people who showed me that age is meaningless. I befriended people with dissimilar personalities and recognized their value. I hiked with someone who made me realize I might want to have kids someday. Strangers surprised us with trailside hamburgers and coolers of beer, stashed water jugs for us in dry sections, and hosted us at their homes when we needed rest. In our community excesses were given freely to those in need, and I learned that resource distribution doesn't always have to depend on money. Plants and animals were teachers too. I saw how fantastically diverse the strategies of life can be -- no two species make their living the same way, yet all survive, and all depend on each other. Wild creatures accept the world as it is instead of inventing fictions. They don't waste time complaining, accumulating possessions, or fearing death. They understand that life only happens in the present moment. My hike lasted a lifetime. These days it's hard to immerse myself in the memories of those months; not because they are difficult to access, but because once remembered they are too sacred to put down without tearing out some piece of my heart. It's a longing that feels like regret because what was once cannot be again. It is said that thru-hiking will ruin your life in the best possible way. Having thrived living from a backpack, I cannot be convinced to sacrifice the hours of my life working to pay rent and buy junk. After surviving the tests of hundreds of crazy situations, I don't strive for the illusion of security. Now that I've lived this dream as my waking life and discovered that my future has no limits, I'm dissatisfied with mundane ambitions. I am glad for this kind of ruination. I wouldn't have it any other way.